Sara graduated from the University of South Carolina-Columbia with a degree in Early Childhood Education. She then received her Master’s Degree, also from the University of South Carolina- Columbia, in Communication Sciences and Disorders. She worked for five years as an SLP in Spartanburg County Schools before working with Tri-County Therapy. 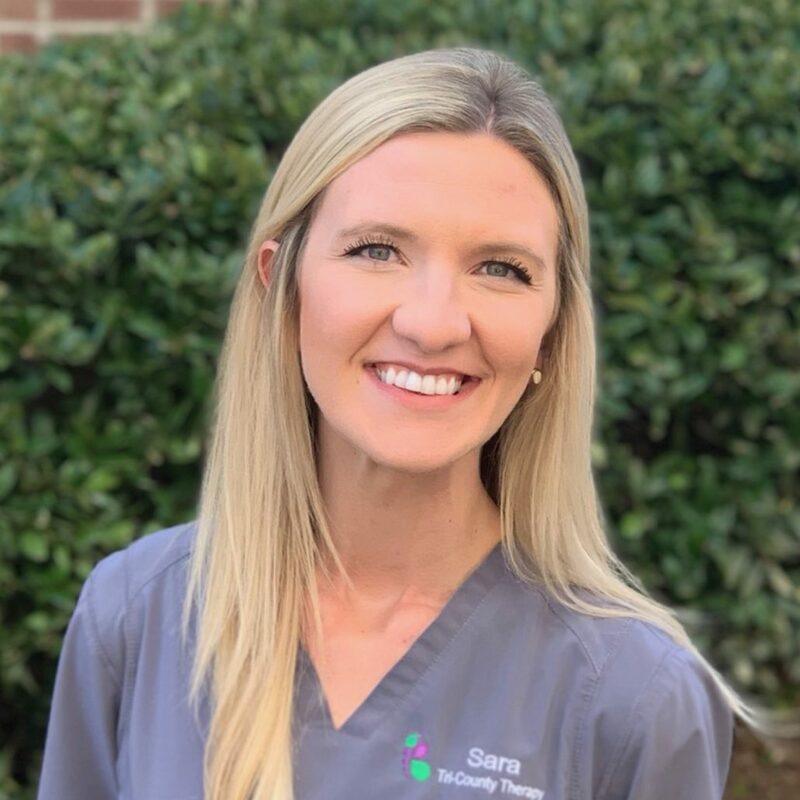 Sara is certified by the American Speech-Language-Hearing Association (ASHA) and South Carolina Board of Examiners in Speech-Language Pathology and Audiology. She is so passionate about this field of work and especially enjoys working with children with delayed language and vocabulary skills, as well as feeding disorders. Sara serves the Taylors and Greer, SC areas. Sara has been married to her husband, Ryan, since December of 2012. They are best friends and enjoy doing life alongside one another! They love to travel, fish, ride in their boat, be outdoors, participate in church activities, and spend time with their family and friends. They also love being an aunt and uncle to their sweet nieces and nephews. They have a dog (Ella), a rabbit (Paco), and five chickens (Penny, Polly, Pip, Petunia, and Ruby) who so graciously give them fresh eggs daily!